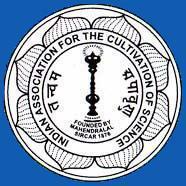 Applicable candidates are invited for the post in Indian Association for The Cultivation of Science. This application must be submitted offline and there is no other mode of application would be accepted. ·Pay Scale: HAG- INR.67,000/- (Annual Increment by 3%)- INR. 79000/- + Allowances. ·Educational Qualifications: Outstanding Scientists/ Academician. ·Eligibility: Applicants should posses creditable Academic records & Outstanding Research performance as evidenced by publications & other outputs & capacity to provide leadership to a group of highly performing research professionals./ Experience of directing/ coordinating frontline research programs at the National & International levels, Ability to provide leadership in nourishing basic Research & Experience in administrative matters of the research institution with a celebrated legacy. ·Age: 55 years (Not to exceed by 01/01/2013). The filled applications along with the complete CV/ requisite documents should be sent to "Professor S.K. Joshi, Chairman, Governing Council, Indian Association for Cultivation of Science, Jadavpur, Kolkata- 700032" on or before last date 31/05/2013 given. View more details in EN dated 30-05/2013.